I can always trust the guys at Magic Touch Carpet to show up on time and ready to work. A very professional company that I feel I can trust. I will keep using Magic Touch. After we had a water mishap in our kitchen we were worries that we wouldn't be able to clean up the water that spilled into the living room before they did irreparable damage to my new carpets. Thank you for getting down here so quickly and saving my living room! I didn't think the tear in my carpet was able to be fixed, but the folks at Magic Touch Carpet Repair fixed it up right as rain. Thanks for the help guys. My wife and I are thrilled with the results. Carpet repair takes specific experience and know-how. Magic Touch Carpet Repair has served the Scottsdale and surrounding areas since 2006 and has experience in carpet care going back many years prior. As a family-owned, local business we take customer care seriously. Living and working in the same communities, we see our customers as neighbors. We guarantee our work so you can feel confident you are getting carpet repair and services that you will be happy with. 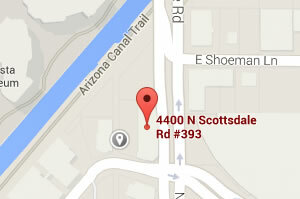 Call today and tell us about your need for carpet repair in Scottsdale. Stain Removal – Some stains seem impossible! It takes skilled understanding of carpet fibers to know which type of stain remover to use on which type of carpet to ensure the stain is removed and no damage is done to the material. Our experienced technicians are specially trained and certified to appropriately identify the type of carpet you have and match our unique stain removal products to a successful carpet repair. Carpet Stretching – Carpets may need stretching because they have tightened or loosened with age. We stretch the carpet to fit, removing any excess carpet, for a smooth surface. Carpet Patching – Accidents happen. Things like a bleach spill or simple wear and tear over time can cause an area of carpet to be in too rough of a condition to clean. In these cases, the best form of carpet care is a patch. We seamlessly install a matching patch into your existing carpet to eliminate the signs of age or other damage. Seam Repair – Loose edges are a major tripping hazard. We remove and replace carpet edges that have become loose or frayed. We cut the edges so they are straight and clean, stretch the carpet to fit, then reattach the edge for a safe, smooth edge. Emergency Water Removal – When you have had a water leak it is important to get the carpet dried quickly. Wet carpet is a recipe for mold and mildew and also holds moisture against flooring materials beneath the carpet. We get to you fast and removed the excess water and install driers to expedite the drying process. Nothing brings the look—and smell—of a Scottsdale home or business down like worn out, dirty carpet. Make sure it is the bright, clean look of a room that your visitors notice rather than the carpet stains. Our technicians evaluate the condition of your carpet and make suggestions that will bring the best results. We offer straightforward quotes with no hidden fees and are happy to take the time to discuss our suggestions with you. Call today to schedule an affordable carpet care professional and get your comprehensive carpet repair in Scottsdale. Contact us today to help you repair your damaged carpet at a fraction of the cost of our competitors!